As you know, the torch does not emit light when it is in your hands. 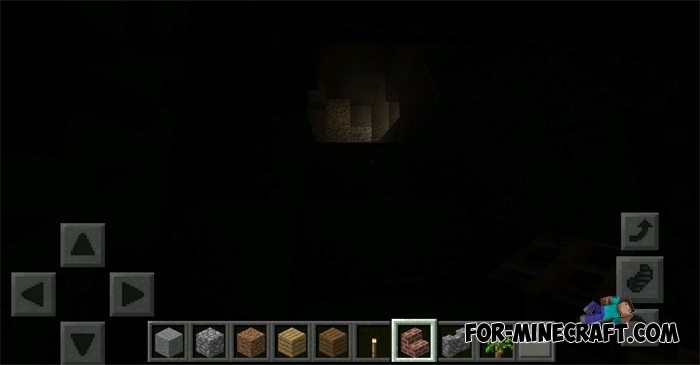 To light it you first need to put the torch on the block, and only in this case the surrounding area will be lighted. 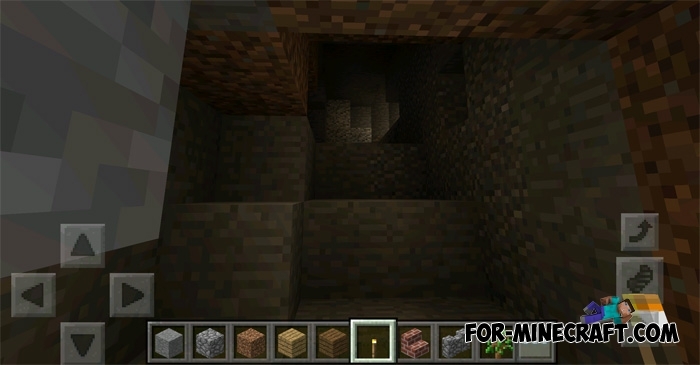 Because of this, players have to place a lot of torches on their way. If you are tired of it, download the Burning torch mod and solve this annoying problem. You only need to install the mod. After that, the torch will emit light directly into your hands. Therefore, it's an excellent opportunity to accelerate the extraction of diamonds and other precious stones. Download the file and launch BlockLauncher. Click on the wrench at the top of the screen -> select "Import" and open the downloaded file.